Bourbon Street, the smoky sounds of jazz wafting from the French Quarter, Po�Boy sandwiches and the Mississippi River. What do all of these things have in common? In some way or another they each stand as a symbol of the Big Easy, more often referred to as New Orleans. This city, which is steeped in culture, is one of the most unique and diverse places to visit in the United States. Every year hundreds of thousands of travelers flock to New Orleans for both business and pleasure. This is a city that opens its arms far and wide to visitors from all walks of life. The W New Orleans-French Quarter is no exception. This ultra-hip hotel revolves around providing its guests with the highest quality of service possible. It is this fact that keeps many coming back over and over again. Unique touches, such as gumball machines in each accommodation, let guests know that this is not your standard hotel. Located on Chartres Street, smack dab in the middle of the infamous French Quarter, the W is only minutes away from all of the excitement that the Big Easy has to offer. 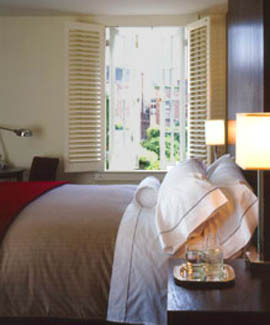 The W New Orleans-French Quarter boasts 98 beautifully appointed guest rooms that are stretched out over five floors, in addition to four carriage houses and two deluxe suites. The rooms are decorated in a warm soothing style that will immediately put guests at ease. The beds, with their custom pillow-topped mattresses, 250 thread count linens, down feather beds, duvet covers and king-sized hypo allergenic feather pillows, are literally paradise on earth. Sleeping will become an entirely new and wonderful experience that can�t be found in just any hotel. All accommodations feature amenities that world savvy travelers have come to expect while staying in high-end hotels. Each room is equipped with a state-of-the-art entertainment center that includes a remote controlled color cable television with on-command movies, video cassette player and CD player. Guests can surf the net via the television which offers super high-speed Internet access. The W also has an extensive video and music library that is available to all guests. Plush bathrobes, cozy towels and luxurious Aveda bath products await guests in the ornate bathrooms. Business travelers will be pleased to discover that not only are the accommodations more than conducive for living but are for working as well. The oversized working desk and two telephones (one cordless and one equipped with data port and speakerphone functions) make it easy and convenient to conduct business as usual. Other in-room amenities include coffee maker, hair dryer, make-up mirror, electronic safe, iron, ironing board, munchie box and mini-bar. A complimentary newspaper is delivered to guests� rooms daily. Non-smoking and handicap accessible rooms are available upon request as are baby cribs. Children ages 16 and under stay at the W New Orleans-French Quarter free of charge. Check-in is at 3:00 pm and check-out is at noon. The guest services, recreational opportunities and dining options offered at the W New Orleans-French Quarter are as excellent as the accommodations. The front desk is manned around the clock to ensure that no guest go in search of a staff member when a request is needed. To find out what�s going on in the Big Easy and how to get there, guests just need to pick up the phone and call down to the Whatever/Whenever desk. They are there to point visitors in the direction of New Orleans� most popular attractions. Other in-hotel services include doorman, 24-hour valet parking, wake-up service, dry cleaning, housekeeping and round the clock room service. The W also has meeting and event facilities that are available. After a day of business meetings or sightseeing, guests can relax poolside. 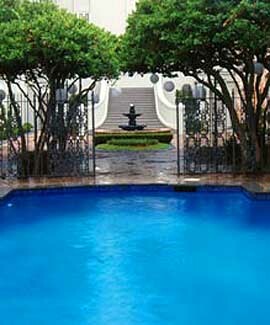 The surroundings will lull guests into a state of tranquility. Workout enthusiasts will be pleased to discover that a fitness facility is only minutes away. 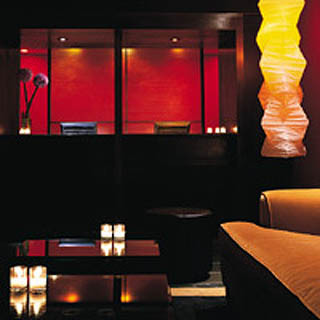 The W is also home to one of the city�s most celebrated restaurants. Bacco serves delicious Italian cuisine in a setting so romantic that you will never want to leave. The extensive wine list will more than impress connoisseurs of the grape. Before or after dinner, head over to the Living Room and challenge someone to a game of chess or catch up on some reading. 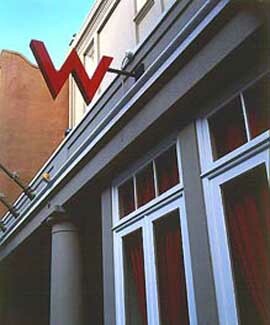 The W New Orleans-French Quarter is located at 316 Chartres Street. The hotel is only minutes away from all of the excitement that the Big Easy has to offer including the always festive Bourbon Street, the Aquarium of the Americas, the Superdome and the New Orleans City Park.